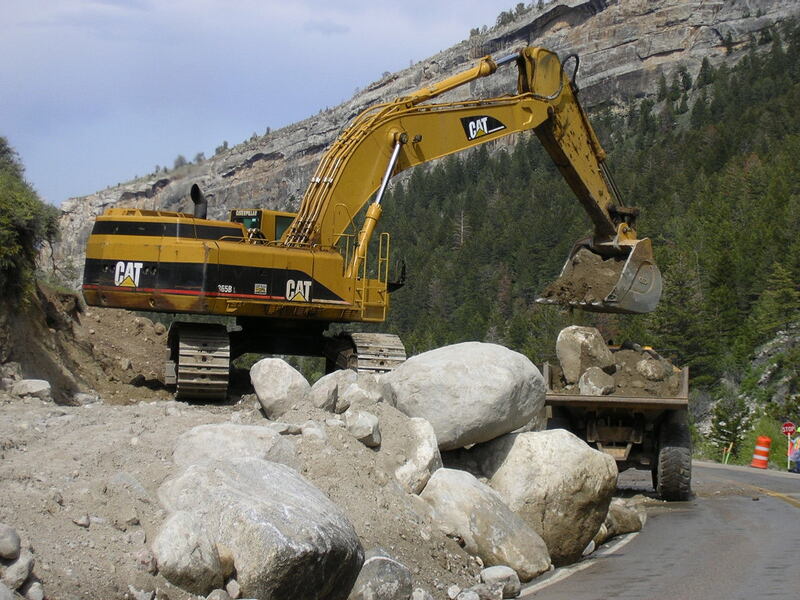 This project was for the Federal Highway Administration and was an 8-mile mountain road in the Shoshone National Forest. The purpose of the project was to upgrade the road from 1½ lanes and partial gravel to a 2-lane paved road. The project included excavation, MSE walls, drainage, crushed base, and paving. A major challenge in this project was the excavation and construction of the MSE walls. The excavation of the walls removed the old road entirely in some places. With very steep back slopes, it was very challenging to work on any part of the project above the wall.